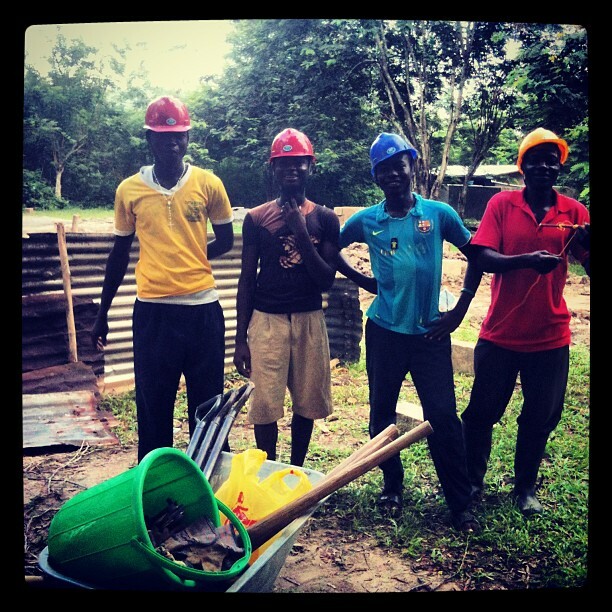 Team Gboloo – Aikins, Prince, Emmanuelle and Peter – the village by village construction team for the Junior High School we are building here in Ghana, West Africa. 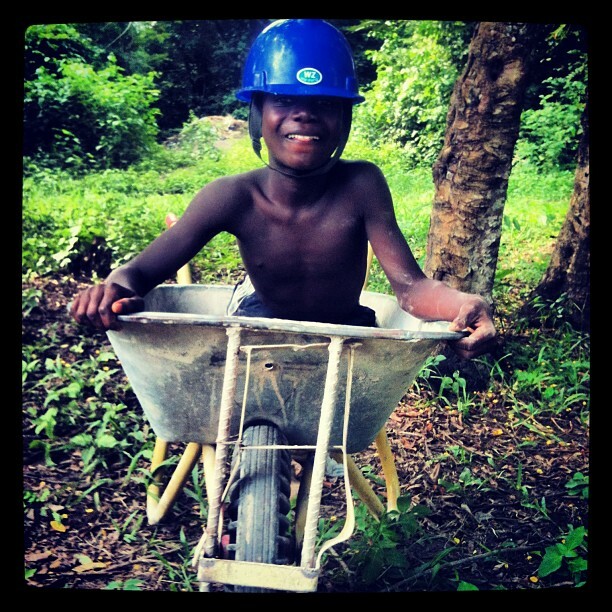 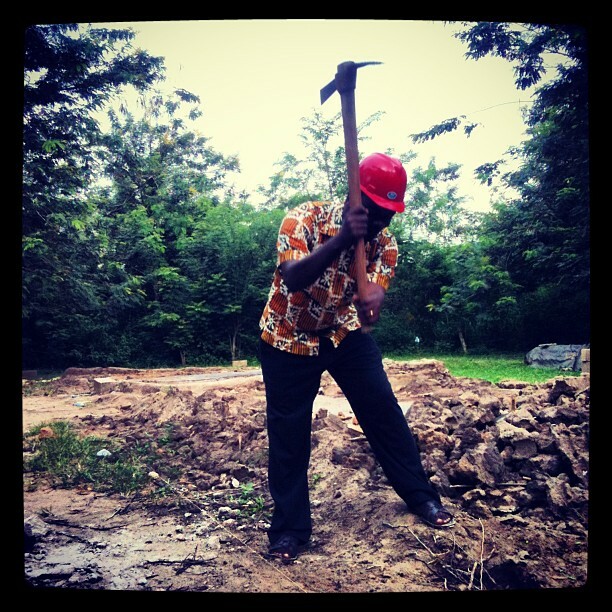 Master Gyampoh strikes the first blow to the excavations for the new Junior High School here in Gboloo Kofi, Ghana! 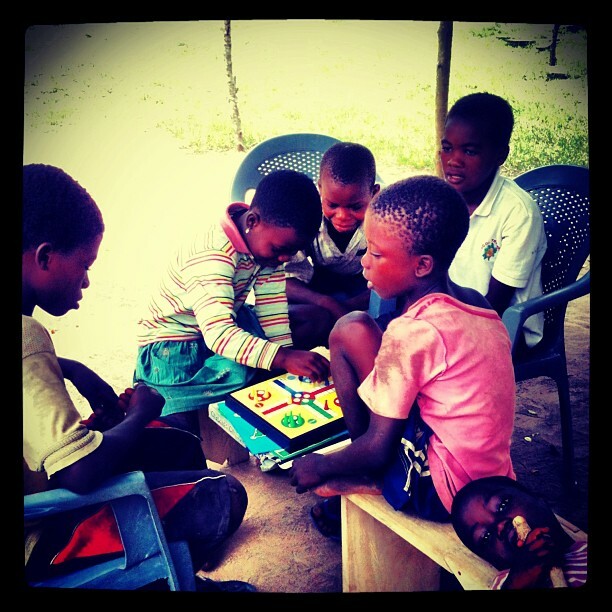 Children from Gboloo Kofi playing Ludo outside our visitors centre, they played from 10am until the sun set!